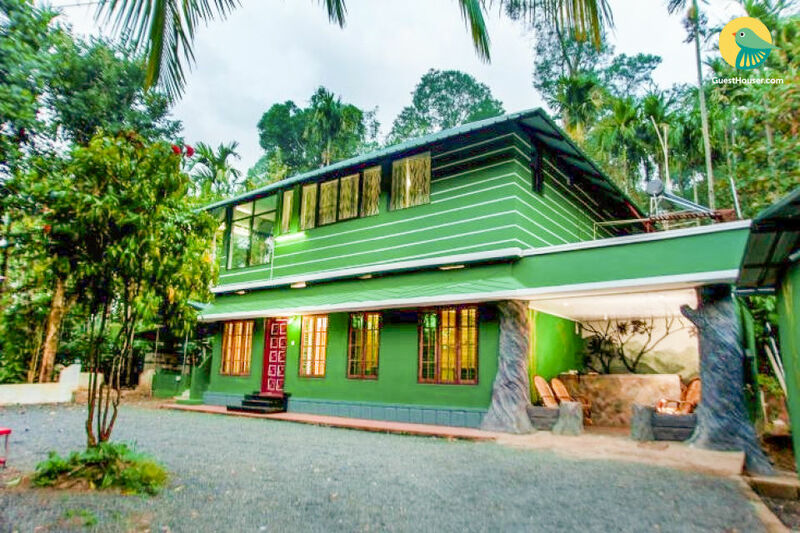 Situated in Noolpuzha, Stay wrapped in complete peace and simple pleasure of life. An enchanting environment with mist-clad peaks, greenery, exotic flora and fauna all around, makes you fall in love with the pristine nature. 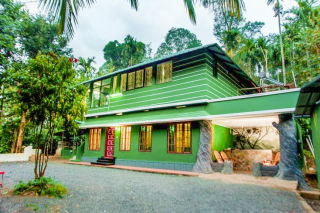 The property is located at Noolpuzha in Waynad, spans over 6 acres of lush green area besides Ooty - Sulthan Bathery highways, It is surrounded on three sides by tropical reserve forests of the Western Ghats and abuts a fresh water stream with a gurgling sound and birds chirping gives you life changing experience.The extreme hospitality and the cooling weather conditions are exceptional and unobtrusive. It facilitates Suite rooms, Budget rooms and tree huts. The stay in Erumadam (Natural Tree Hut) at 30 feet above would be a divergent involvement. If you are lucky, you can come across the wildlife. 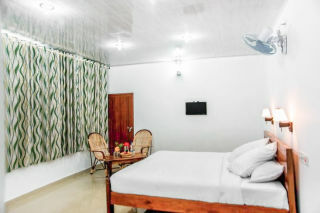 Situated in Noolpuzha, this villa surrounded by an enchanting landscape of tropical trees, spices, and coconut drupes, offers four simple bedrooms which can easily sleep up to twelve guests. 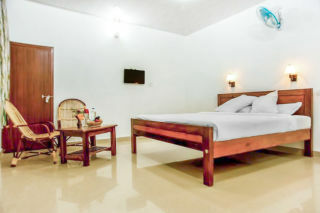 They are each modestly furnished with a double bed, bamboo chairs with a coffee table, and basic bathroom amenities. Equipped with a flourishing vegetable garden, guests can pick out fresh produce in the morning and test out their own favourite recipes in the in-house kitchen. If the aroma Kerala cuisine prevails over your love for cooking, then an assorted spread of Malabari delicacies awaits you. The extreme hospitality and the cooling weather conditions are exceptional and unobtrusive. The place is amidst an unending expanse of vegetables, fruits and spices like ginger. cardamon, coffee and aeronaut tree providing a sweet aroma of the spice scented cool. 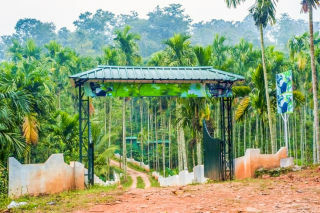 The place offers the opportunity to enjoy the birds tweeting, animal howling and the monkeys swinging on the tree. Enjoy around the bonfire with music and dancing. Mother Nature will be more than happy to enjoy with you. 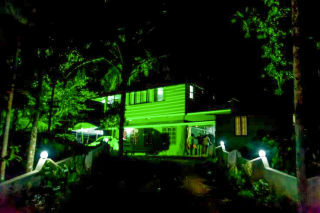 Places to visit - Wayanad Heritage Museum (Ambalavayal Heritage Museum) (Sultan Battery) - 23.8 km. Lakkidi View Point (Kalpetta) - 24.5 km. Neelimala Viewpoint (Vaduvanchal) - 24.5 km. Meenmutty Falls (Kalpetta) - 25.7 km. Edakkal Caves (Kalpetta) - 25.8 km. Kanthanpara Waterfall (Kalpetta) - 31.5 km. Jain Temple Wayanad (Kalpetta) - 35.2 km. Wayanad Wildlife Sanctuary (Kalpetta) - 36.3 km. Kozhikode Railway Station - 111.0 km. Calicut International Airport - 122 km. Kazhambu Bus Stop - 7.0 km.